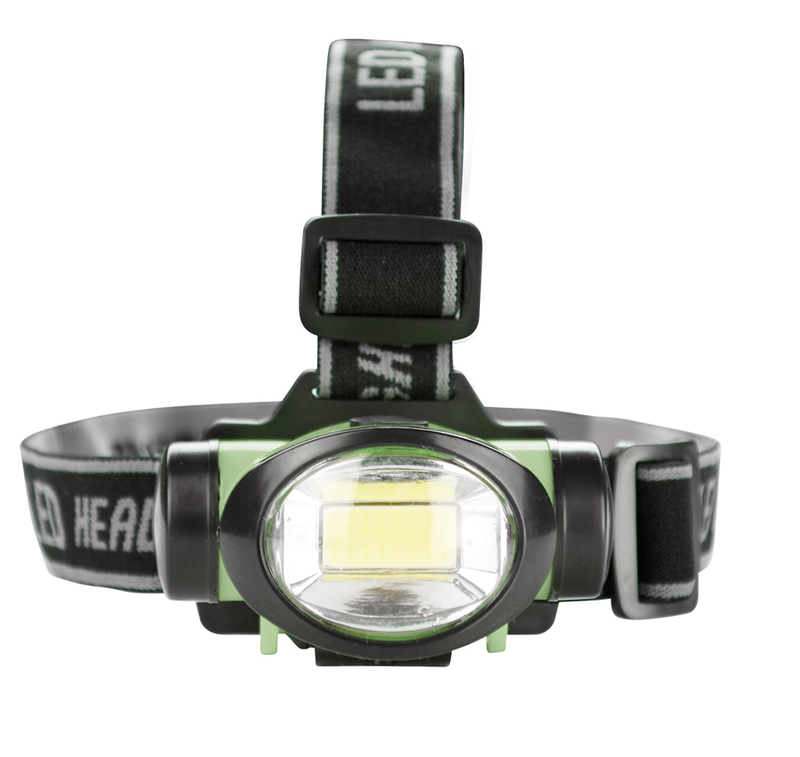 COB LED Headlamp 200 Lumen 3 Watt Energy Efficient Flood Light is great for hiking, biking, camping, blackout, emergencies, and more. It features COB LED with a brightness of 200 lumens. It has a 3 stage switch, including full, half, and blink. It features a green and black pivoting head, a supportive crown, and a head strap. It's also energy efficient, so you can save money for batteries.